Truthdig.com and Harpers.com. Learn more here. No dominant class can long retain control when the credibility of the ideas that justify its existence evaporates. 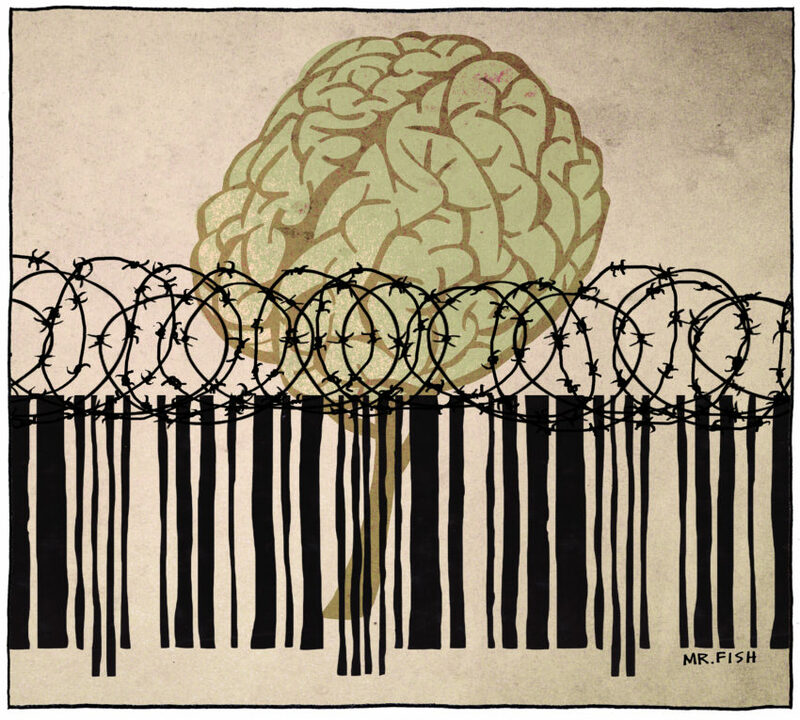 It is forced, at that point, to resort to crude forms of coercion, intimidation and censorship. This ideological collapse in the United States has transformed those of us who attack the corporate state into a potent threat, not because we reach large numbers of people, and certainly not because we spread Russian propaganda, but because the elites no longer have a plausible counterargument. The corporate elites do not fear Russia. There is no publicly disclosed evidence that Russia swung the election to Donald Trump. Nor does Russia appear to be intent on a military confrontation with the United States. I am certain Russia tries to meddle in U.S. affairs to its advantage, as we do and did in Russia—including our clandestine bankrolling of Boris Yeltsin, whose successful 1996 campaign for re-election as president is estimated to have cost up to $2.5 billion, much of that money coming indirectly from the American government. In today’s media environment Russia is the foil. The corporate state is unnerved by the media outlets that give a voice to critics of corporate capitalism, the security and surveillance state and imperialism, including the network RT America. My show on RT America, “On Contact,” like my columns at Truthdig, amplifies the voices of these dissidents—Tariq Ali, Kshama Sawant, Mumia Abu-Jamal, Medea Benjamin, Ajamu Baraka, Noam Chomsky, Dr. Margaret Flowers, Rania Khalek, Amira Hass, Miko Peled, Abby Martin, Glen Ford, Max Blumenthal, Pam Africa, Linh Dinh, Ben Norton, Eugene Puryear, Allan Nairn, Jill Stein, Kevin Zeese and others. These dissidents, if we had a functioning public broadcasting system or a commercial press free of corporate control, would be included in the mainstream discourse. They are not bought and paid for. They have integrity, courage and often brilliance. They are honest. For these reasons, in the eyes of the corporate state, they are very dangerous. The first and deadliest salvo in the war on dissent came in 1971 when Lewis Powell, a corporate attorney and later a Supreme Court justice, wrote and circulated a memo among business leaders called “Attack on American Free Enterprise System.” It became the blueprint for the corporate coup d’état. Corporations, as Powell recommended in the document, poured hundreds of millions of dollars into the assault, financing pro-business political candidates, mounting campaigns against the liberal wing of the Democratic Party and the press and creating institutions such as the Business Roundtable, The Heritage Foundation, the Manhattan Institute, the Cato Institute, Citizens for a Sound Economy, the Federalist Society and Accuracy in Academia. The memo argued that corporations had to fund sustained campaigns to marginalize or silence those who in “the college campus, the pulpit, the media, and the intellectual and literary journals” were hostile to corporate interests. Powell attacked Ralph Nader by name. Lobbyists flooded Washington and state capitals. Regulatory controls were abolished. Massive tax cuts for corporations and the wealthy were implemented, culminating in a de facto tax boycott. Trade barriers were lifted and the country’s manufacturing base was destroyed. Social programs were slashed and funds for infrastructure, from roads and bridges to public libraries and schools, were cut. Protections for workers were gutted. Wages declined or stagnated. The military budget, along with the organs of internal security, became ever more bloated. A de facto blacklist, especially in universities and the press, was used to discredit intellectuals, radicals and activists who decried the idea of the nation prostrating itself before the dictates of the marketplace and condemned the crimes of imperialism, some of the best known being Howard Zinn, Noam Chomsky, Sheldon Wolin, Ward Churchill, Nader, Angela Davis and Edward Said. These critics were permitted to exist only on the margins of society, often outside of institutions, and many had trouble making a living. The financial meltdown of 2008 not only devastated the global economy, it exposed the lies propagated by those advocating globalization. Among these lies: that salaries of workers would rise, democracy would spread across the globe, the tech industry would replace manufacturing as a source of worker income, the middle class would flourish, and global communities would prosper. After 2008 it became clear that the “free market” is a scam, a zombie ideology by which workers and communities are ravaged by predatory capitalists and assets are funneled upward into the hands of the global 1 percent. The endless wars, fought largely to enrich the arms industry and swell the power of the military, are futile and counterproductive to national interests. Deindustrialization and austerity programs have impoverished the working class and fatally damaged the economy. The establishment politicians in the two leading parties, each in service to corporate power and responsible for the assault on civil liberties and impoverishment of the country, are no longer able to use identity politics and the culture wars to whip up support. This led in the last presidential campaign to an insurgency by Bernie Sanders, which the Democratic Party crushed, and the election of Donald Trump. Barack Obama rode a wave of bipartisan resentment into office in 2008, then spent eight years betraying the public. Obama’s assault on civil liberties, including his use of the Espionage Act to prosecute whistleblowers, was worse than those carried out by George W. Bush. He accelerated the war on public education by privatizing schools, expanded the wars in the Middle East, including the use of militarized drone attacks, provided little meaningful environmental reform, ignored the plight of the working class, deported more undocumented people than any other president, imposed a corporate-sponsored health care program that was the brainchild of the right-wing Heritage Foundation, and prohibited the Justice Department from prosecuting the bankers and financial firms that carried out derivatives scams and inflated the housing and real estate market, a condition that led to the 2008 financial meltdown. He epitomized, like Bill Clinton, the bankruptcy of the Democratic Party. Clinton, outdoing Obama’s later actions, gave us the North American Free Trade Agreement (NAFTA), the dismantling of the welfare system, the deregulation of the financial services industry and the huge expansion of mass incarceration. Clinton also oversaw deregulation of the Federal Communications Commission, a change that allowed a handful of corporations to buy up the airwaves. The corporate state was in crisis at the end of the Obama presidency. It was widely hated. It became vulnerable to attacks by the critics it had pushed to the fringes. Most vulnerable was the Democratic Party establishment, which claims to defend the rights of working men and women and protect civil liberties. This is why the Democratic Party is so zealous in its efforts to discredit its critics as stooges for Moscow and to charge that Russian interference caused its election defeat. In January there was a report on Russia by the Office of the Director of National Intelligence. The report devoted seven of its 25 pages to RT America and its influence on the presidential election. It claimed “Russian media made increasingly favorable comments about President-elect Trump as the 2016 US general and primary election campaigns progressed while consistently offering negative coverage of Secretary [Hillary] Clinton.” This might seem true if you did not watch my RT broadcasts, which relentlessly attacked Trump as well as Clinton, or watch Ed Schultz, who now has a program on RT after having been the host of an MSNBC commentary program. The report also attempted to present RT America as having a vast media footprint and influence it does not possess. RT’s reports often characterize the United States as a ‘surveillance state’ and allege widespread infringements of civil liberties, police brutality, and drone use. RT has also focused on criticism of the US economic system, US currency policy, alleged Wall Street greed, and the US national debt. Some of RT’s hosts have compared the United States to Imperial Rome and have predicted that government corruption and “corporate greed” will lead to US financial collapse. In November 2016, The Washington Post reported on a blacklist published by the shadowy and anonymous site PropOrNot. The blacklist was composed of 199 sites PropOrNot alleged, with no evidence, “reliably echo Russian propaganda.” More than half of those sites were far-right, conspiracy-driven ones. But about 20 of the sites were major left-wing outlets including AlterNet, Black Agenda Report, Democracy Now!, Naked Capitalism, Truthdig, Truthout, CounterPunch and the World Socialist Web Site. The blacklist and the spurious accusations that these sites disseminated “fake news” on behalf of Russia were given prominent play in the Post in a story headlined “Russian propaganda effort helped spread ‘fake news’ during the election, experts say.” The reporter, Craig Timberg, wrote that the goal of the Russian propaganda effort, according to “independent researchers who have tracked the operation,” was “punishing Democrat Hillary Clinton, helping Republican Donald Trump and undermining faith in American democracy.” Last December, Truthdig columnist Bill Boyarsky wrote a good piece about PropOrNot, which to this day remains essentially a secret organization. The owner of The Washington Post, Jeff Bezos, also the founder and CEO of Amazon, has a $600 million contract with the CIA. Google, likewise, is deeply embedded within the security and surveillance state and aligned with the ruling elites. Amazon recently purged over 1,000 negative reviews of Hillary Clinton’s new book, “What Happened.” The effect was that the book’s Amazon rating jumped from 2 1/2 stars to five stars. Do corporations such as Google and Amazon carry out such censorship on behalf of the U.S. government? Or is this censorship their independent contribution to protect the corporate state? In the name of combating Russia-inspired “fake news,” Google, Facebook, Twitter, The New York Times, The Washington Post, BuzzFeed News, Agence France-Presse and CNN in April imposed algorithms or filters, overseen by “evaluators,” that hunt for key words such as “U.S. military,” “inequality” and “socialism,” along with personal names such as Julian Assange and Laura Poitras, the filmmaker. Ben Gomes, Google’s vice president for search engineering, says Google has amassed some 10,000 “evaluators” to determine the “quality” and veracity of websites. Internet users doing searches on Google, since the algorithms were put in place, are diverted from sites such as Truthdig and directed to mainstream publications such as The New York Times. The news organizations and corporations that are imposing this censorship have strong links to the Democratic Party. They are cheerleaders for American imperial projects and global capitalism. Because they are struggling in the new media environment for profitability, they have an economic incentive to be part of the witch hunt. During the month of May, Google searches including the word “war” produced 61,795 WSWS impressions. In July, WSWS impressions fell by approximately 90 percent, to 6,613. Searches for the term “Korean war” produced 20,392 impressions in May. In July, searches using the same words produced zero WSWS impressions. Searches for “North Korea war” produced 4,626 impressions in May. In July, the result of the same search produced zero WSWS impressions. “India Pakistan war” produced 4,394 impressions in May. In July, the result, again, was zero. And “Nuclear war 2017” produced 2,319 impressions in May, and zero in July. To cite some other searches: “WikiLeaks,” fell from 6,576 impressions to zero, “Julian Assange” fell from 3,701 impressions to zero, and “Laura Poitras” fell from 4,499 impressions to zero. A search for “Michael Hastings”—the reporter who died in 2013 under suspicious circumstances—produced 33,464 impressions in May, but only 5,227 impressions in July. In addition to geopolitics, the WSWS regularly covers a broad range of social issues, many of which have seen precipitous drops in search results. Searches for “food stamps,” “Ford layoffs,” “Amazon warehouse,” and “secretary of education” all went down from more than 5,000 impressions in May to zero impressions in July. The accusation that left-wing sites collude with Russia has made them theoretically subject, along with those who write for them, to the Espionage Act and the Foreign Agent Registration Act, which requires Americans who work on behalf of a foreign party to register as foreign agents. The latest salvo came last week. It is the most ominous. The Department of Justice called on RT America and its “associates”—which may mean people like me—to register under the Foreign Agent Registration Act. No doubt, the corporate state knows that most of us will not register as foreign agents, meaning we will be banished from the airwaves. This, I expect, is the intent. The government will not stop with RT. The FBI has been handed the authority to determine who is a “legitimate” journalist and who is not. It will use this authority to decimate the left. 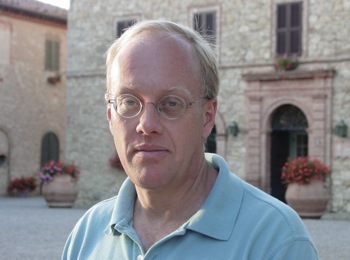 Columnist Chris Hedges is a Pulitzer-prize winning journalist, New York Times best selling author, former professor at Princeton University, activist and ordained Presbyterian minister. He has written 11 books. Read more about Mr. Hedges here. This article appeared on September 17 at truthdig.